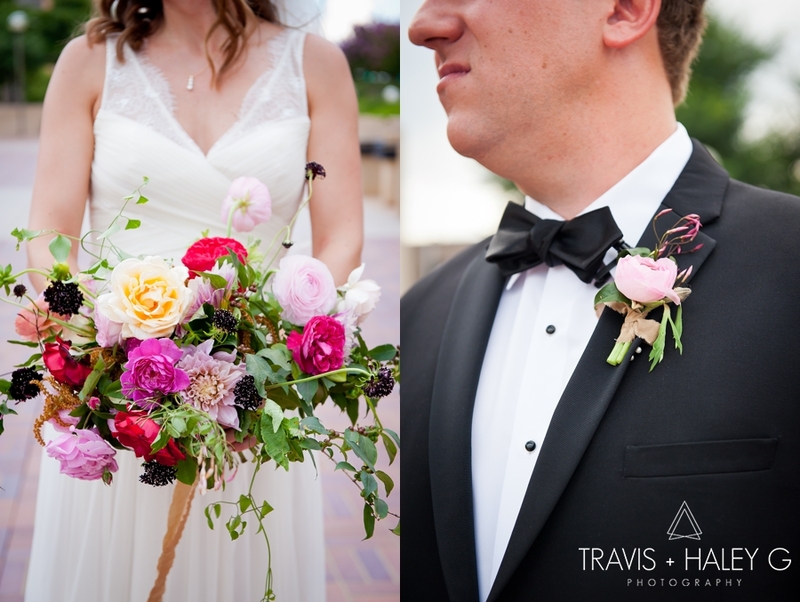 Today’s post is dedicated to Kevin and Jessica’s dreamy wedding in OKC! 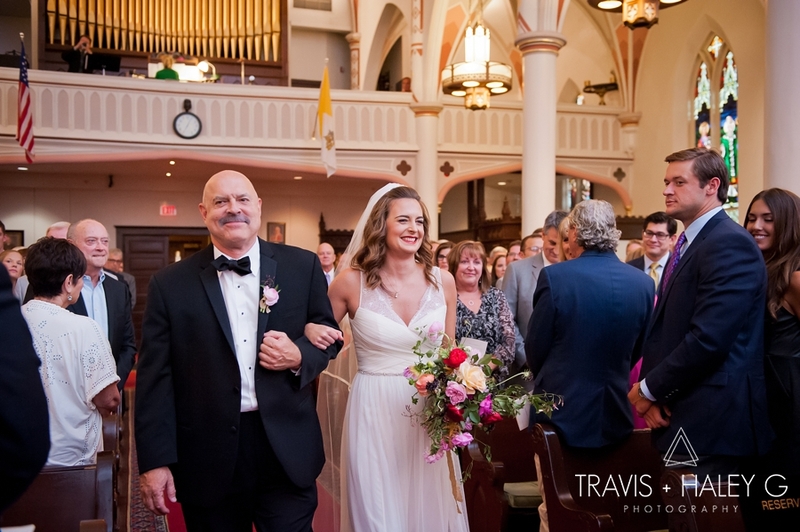 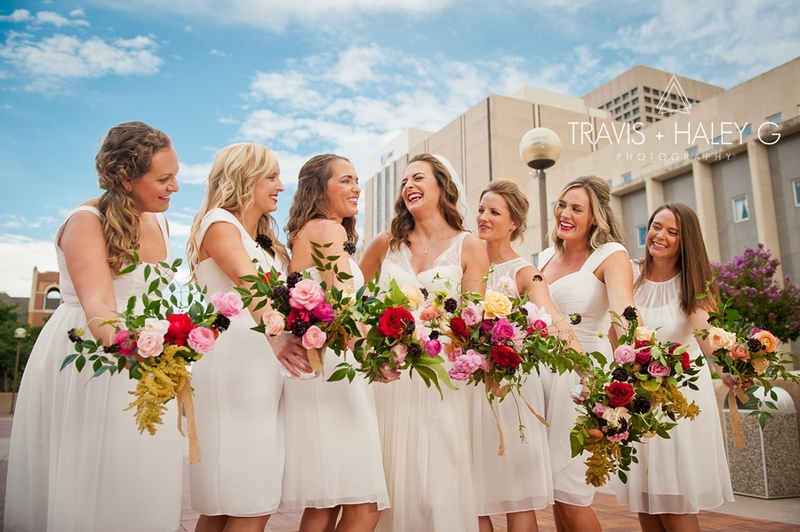 On the afternoon of this much-awaited day, Jessica was surrounded by all of her best girls at St. Joseph’s Old Cathedral primping hair and make up and looking fabulous. 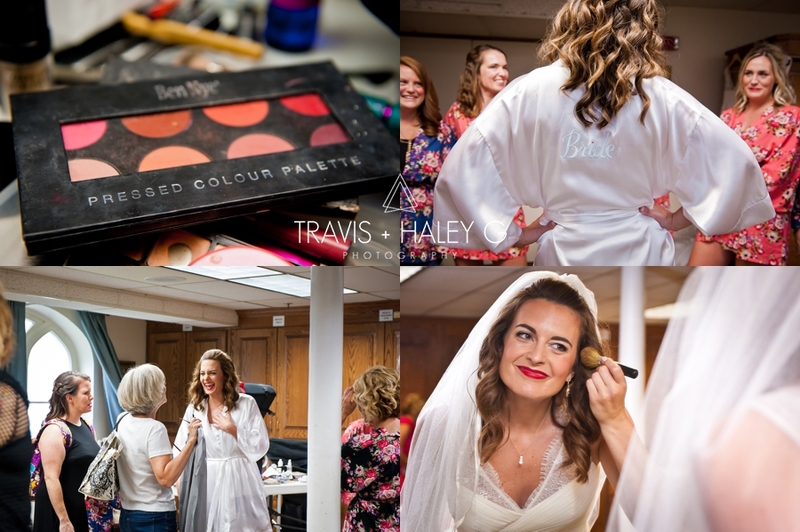 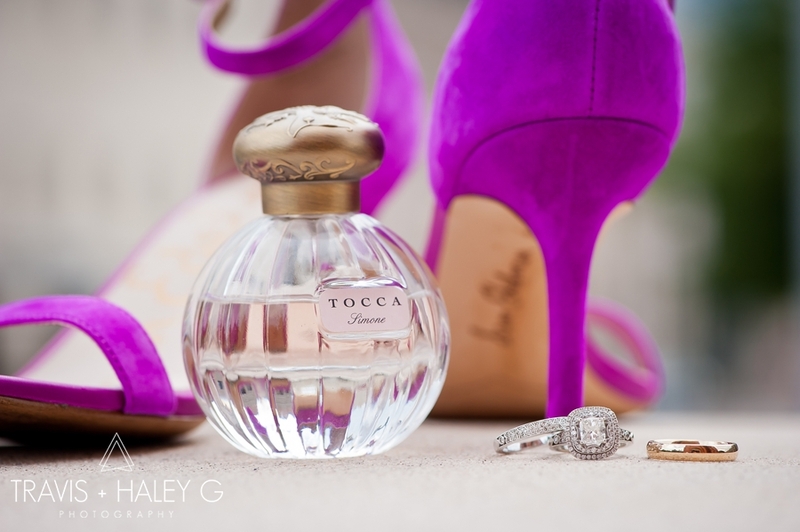 Once the ladies helped Jessica into her dress, high heels were on, and final touches were made, Jessica was off to surprise her nervous and excitedly awaiting groom with a first look. 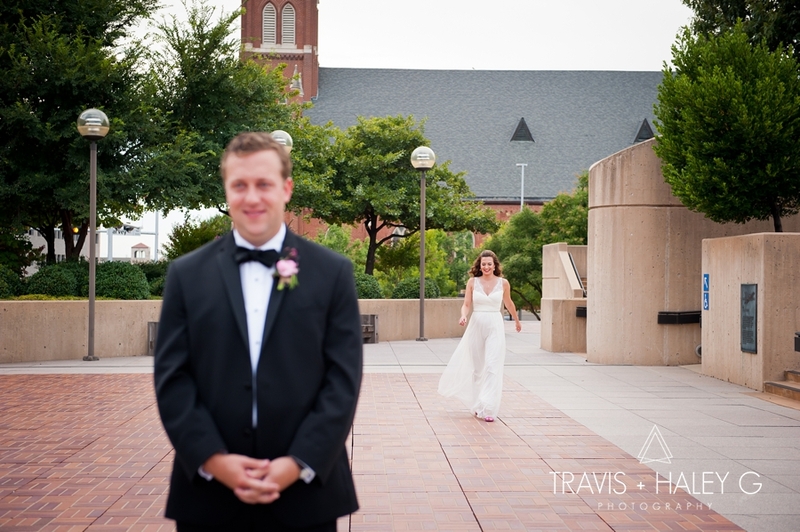 When Kevin turned around to see his radiant bride, his eyes lit up and the two were so thrilled to finally see each other on this special day! 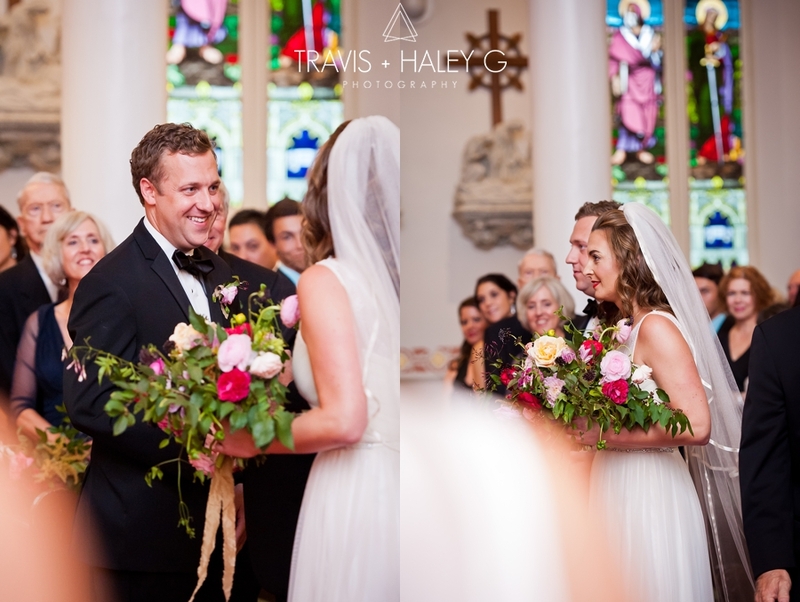 As the cathedral was packed with standing room only, Kevin and Jessica made vows to one another in front of all of their friends and family and sealed it with a kiss! 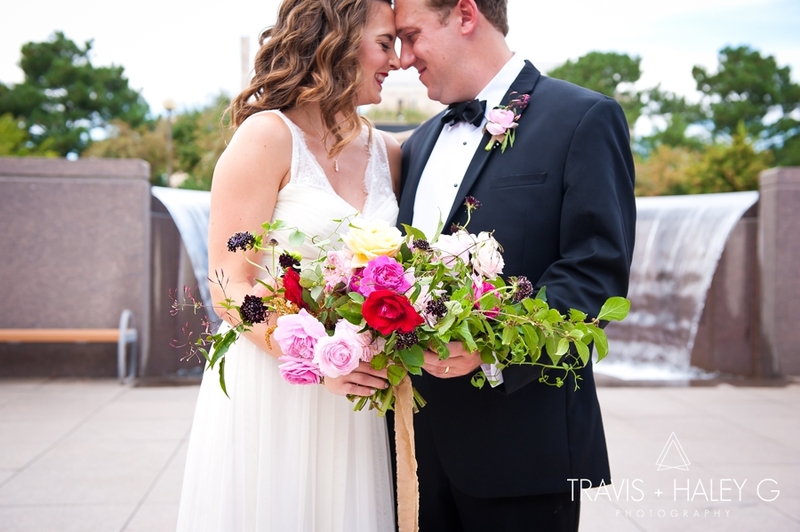 Now that our bride and groom were finally Mr. & Mrs. it was time to celebrate in style! 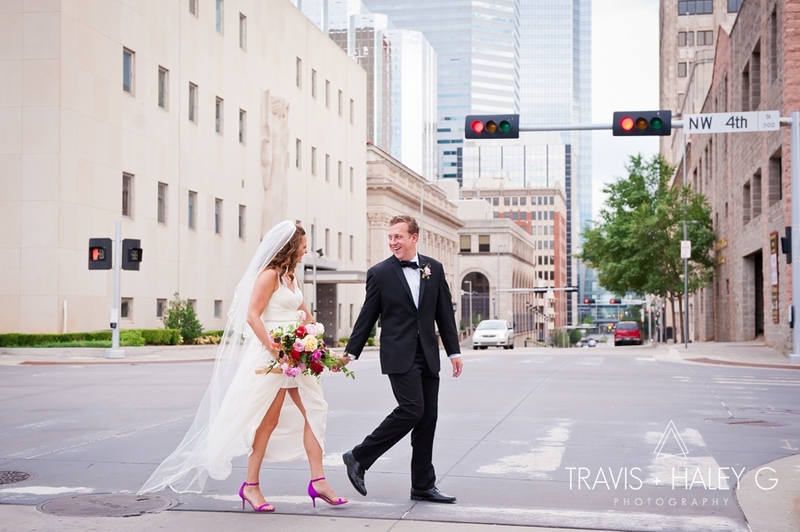 After the ceremony, the wedding party hopped on a trolley, and headed for The OKC Farmers Market for the reception. 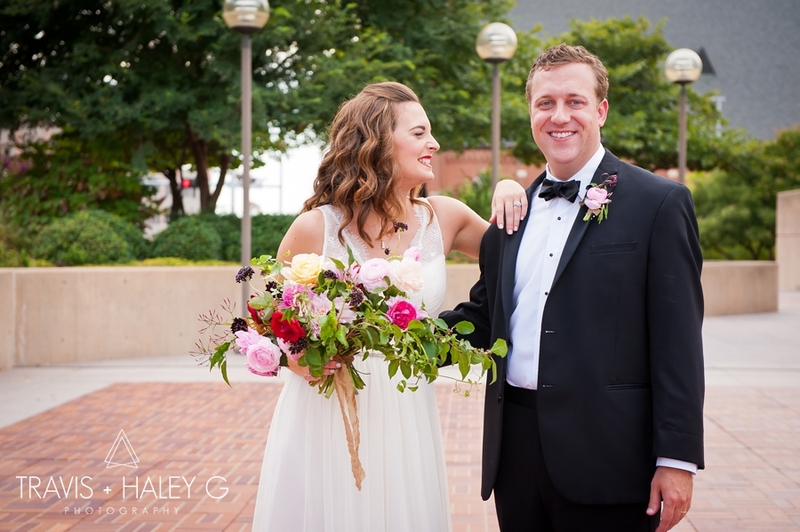 After a grand entrance into the reception, our newly weds enjoyed their first dance. 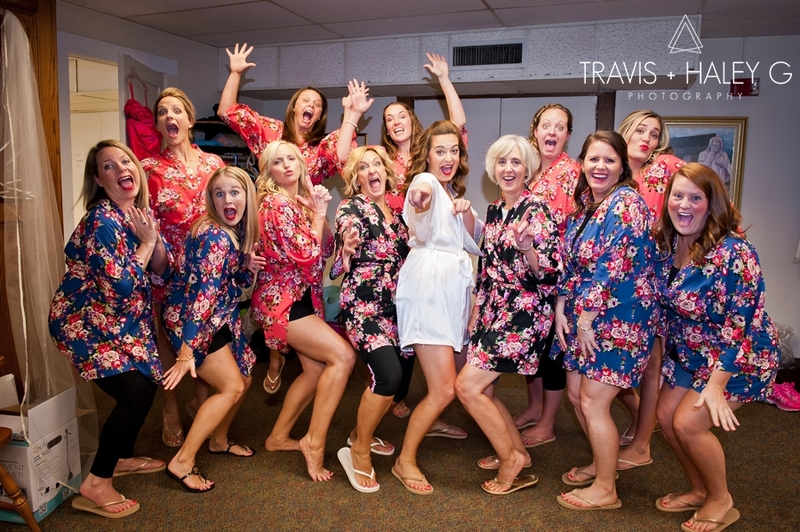 Everyone loved the wonderful dinner and delicious cake, and tore up the dance floor and celebrated the rest of the evening! 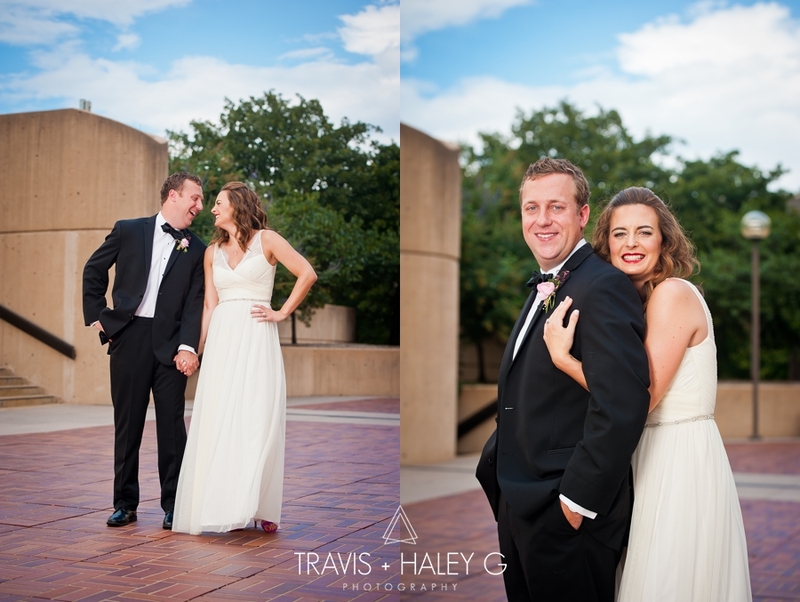 As the night came to a close, it was time to send off K+J with loud cheers and a sparkler exit! 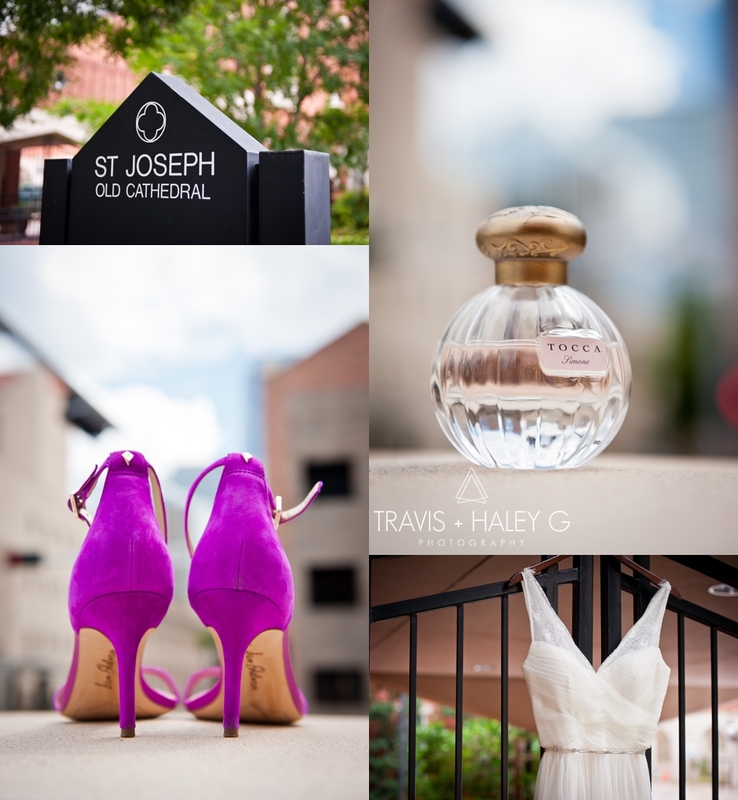 K+J’s day was sophisticated, chic & a crazy good time!